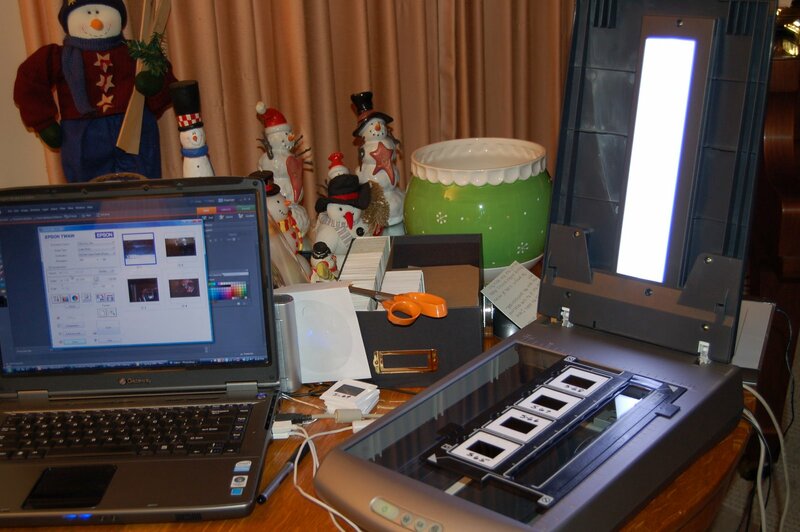 Tonight I am back to scanning in slides while I watch the Oklahoma-Florida football game. Glad the gators won. I am working on getting all of the slides from Mom’s basement into a digital format so we don’t lose the images. Also, there will probably be some Christmas gifts coming out of this project. There are 31 carousels of about 80 slides to be scanned. I am about a 1/4 of the way through the project. There are some great shots in here I have never seen before. It is a blast to see the 50 years styles for clothes, hair, and makeup.